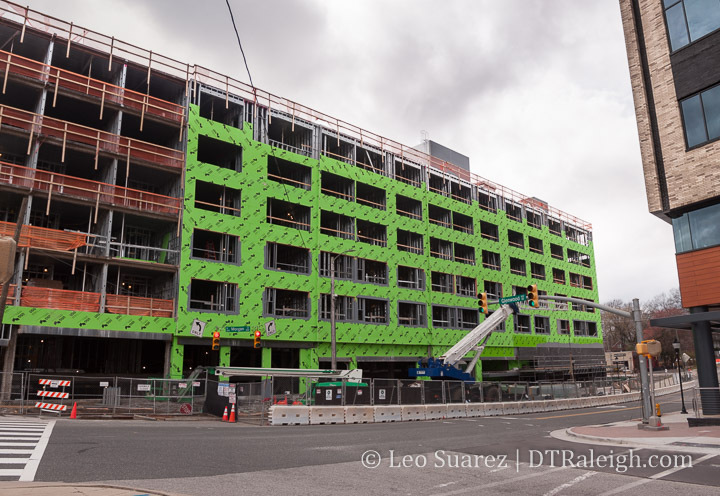 The Origin hotel on Morgan Street is close to topping out. Blocking a substantially large parking deck, the hotel creates a nice bookend to Glenwood Avenue. Once Dram and Draught gets going at the corner of Morgan and Glenwood here and other active retail opens up nearby, this intersection may be a good southern starting point to a Glenwood South nightlife walk. 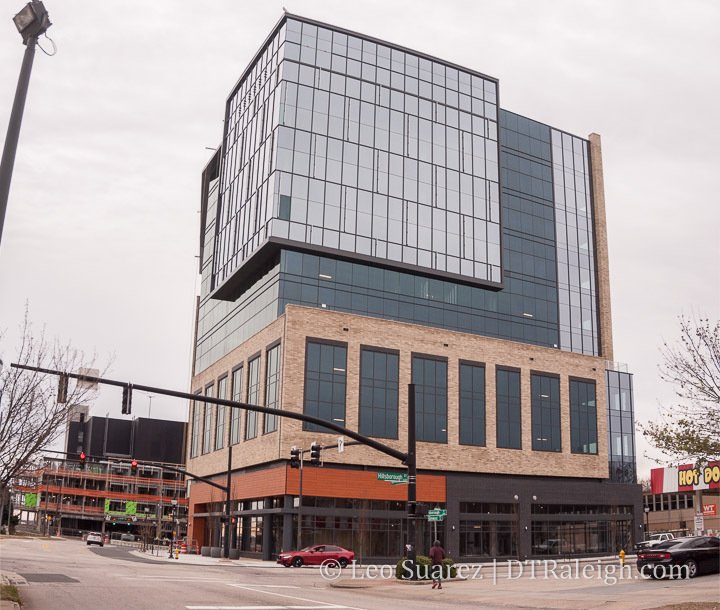 One Glenwood, the first tower of Bloc 83, is really starting to wrap up along Glenwood Avenue. The sidewalks are basically open and the lobbies are mostly finished. All that’s needed is some furniture. Once the tenants have their spaces ready, the building should really start adding activity to the southern end of Glenwood South. Next to watch is the Origin Hotel right across Morgan Street.